Bristol-Myers Squibb has scored a victory against arch-rivals Merck, with a new much more convenient dosing schedule for Opdivo which could help it keep ahead in the sales race. 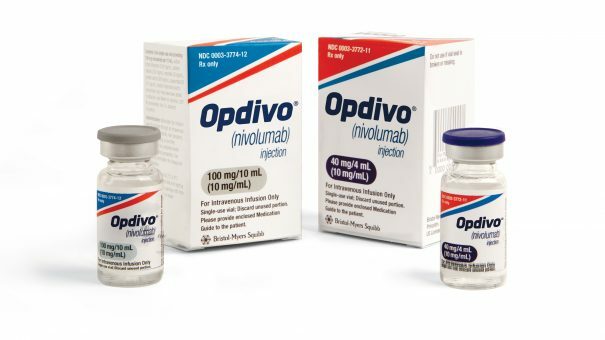 Opdivo was the first PD-1 checkpoint inhibitor on the market in 2014 and is keeping its nose ahead of Merck’s rival, Keytruda in terms of sales. Opdivo generated revenues of just under $5 billion last year, compared with Keytruda’s $3.8 billion, according to the two companies’ recently-released full year results. But Keytruda’s sales are growing faster, and have more than doubled over the last year thanks to its approval in the lucrative first-line lung cancer indication where Opdivo failed to produce results. Roche, Pfizer, and AstraZeneca are playing catch-up with their checkpoint inhibitor drugs – Tecentriq, Bavencio, and Imfinzi, respectively. But BMS is not giving up the fight and has come up with a new more patient-friendly four-weekly dosing schedule. Infusion time has also been cut to 30 minutes across all approved indications, and further dosing schedule updates may follow. This could help Opdivo steal market share from Keytruda, which is given every three weeks, in indications where they compete. An amendment to the Opdivo’s US label includes a 480mg infusion every four weeks, in most approved indications. Healthcare professionals will be able to choose between the two and four-weekly dosing schedule in a range of indications including metastatic melanoma, previously treated non-small cell lung cancer and relapsed Classical Hodgkin lymphoma. Johanna Mercier, head, US Commercial, at BMS said the company was ‘relentless’ in pursuing innovative options for cancer patients.